According to the Oxford Dictionary quotes above, there are two different definitions of “evolution.” The first applies to the development of living things; the second is more general and might be take to apply to the development of the universe, cosmology after the Big Bang. I’ve discussed the second in Essay 3, “Creatio ex Nihilo” and will only say a few words here about that, arguing against geocentrists and the “Young Earth” Creationists who propose a universe only a few thousand years old, with everything (including the fossil record) instantly created as in Genesis 1, with the sun and stars revolving around the earth. “The Catholic Catechism (CCC) and the Encyclical Letter, Humani Generis, outline the position the Catholic Church holds on evolution and the corresponding theological implications. Pope Pius XII made a distinction between the body of man and his soul. The body might be a product of evolution, but the human soul is specially created. It did not evolve, and, unlike our bodies, it was not inherited from our parents. —Address to the Pontifical Academy of Sciences, 1996. He also showed much insight on the scientific aspects of evolution, commenting that while evolution (the descent of species) is a fact, there is more than one theory–mechanism–proposed to explain evolution. It is unfortunate that both scientists and lay persons do not share Pope St. John Paul II’s understanding but equate the Darwinian model for evolution–“survival of the fittest”–with evolution, the descent of species. And as with his apology for the Galileo affair, the liberal media made much of his acknowledgement that evolution is a fact, as a reversal of the Church’s position. However they neglected the historical and theological context which he brought to that statement. Catholic dogma states that souls are not inherited but bestowed on each human at the moment of conception. So it is entirely possible that God bestowed souls on two humans who were similar physically to other humans who had not been given souls. And these were the humans who committed Original Sin. His notion of Original Sin, which was condemned by some Church authorities, is one that begins with the beginning of the Universe, as a struggle to become united with Christ. The article, “Evolution and the Problem of Original Sin”, gives a more detailed exegesis. I think C.S. Lewis had a better analysis in the first of his Space Trilogy, “Out of the Silent Planet.” The three intelligent species on Mars knew God, were not separated from Him. They knew when they were to die, but were not afraid of death, since they knew they would be in an afterworld. Here is, I think, an insight into how the Fall brought about death: to not know that we would be with God after we die, to be uncertain about what would happen to us when we die—that is the true enormity and sadness of mortality. In the quote above, Dr. Seiler speaks for many Christians (Catholics and Protestants)—let’s call them “literalists”— who believe that Scripture must be taken as literally true. I’ve discussed this issue in several blog posts, ” God’s Periodic Table and Evolution,” “…Is Belief in Cosmology and Evolution Heretical,” “You Lie Said the Geocentrist to the Catholic Scientist.” I’ll summarize the arguments of the literalists and my rebuttals below. The second type of argument, used by Catholics (some of them geocentrists), is that Papal Encyclicals, Proceedings of Ecumenical Councils, and Commissions established by Papal authority have decreed that the biblical story of creation in Genesis is literally true. Since these decrees have the full force of the Magisterium, we as faithful Catholics are obliged to believe them. I’ll list them below. Vatican I (1870, Article 5). “I: Do the various exegetical systems excogitated and defended under the guise of science to exclude the literal historical sense of the first three chapters of Genesis rest on a solid foundation? I answer these arguments below. Let’s turn to the argument that belief that the account of Creation given in Genesis 1 must be taken literally as true. Question: Was the Universe and all within it as it exists presently created at once, instantaneously, as Dr. Seiler asserts? Second, God is eternal, timeless–like a photon of light, time does not exist for God. He sees our future and our past and our present simultaneously, so the term “at once” to imply a single moment in past time is a limitation on this Godly timelessness. Question: Do the Popes of modern times say that evolution contradicts Catholic teaching? Answer: Modern Popes, St. John Paul II and Benedict XVI, have argued that evolution, as a scientific thesis, is to be considered a legitimate object of investigation. However interpretations of evolution that contradict Catholic teaching are to be rejected. Granted that these opinions do not have the full force of Encyclicals or Council Decrees, nevertheless, they are part of the Magisterium and to be taken seriously by Catholics. —(writing as Cardinal Ratzinger) “In the Beginning”, a compilation of homilies and addresses. —De Genesi ad litteram; the Literal Meaning of Genesis. And now, let’s see what the science of evolution, that is the evolution of living things, is all about. We’ll not discuss how life began; that’s still a mystery, as I’ve argued in a blog post on this subject. The evolution of living things is a development from simple one-celled organisms to mammals. If one compares different species within a family, they have similar characteristics in form and in their genetic makeup, as for example with a lion and tiger (species Leo and Tigris, respectively; family Panthera). If one compares across phyla, for example Homo Sapiens (human) and Asteria Rubens (starfish) there are vast differences. However these difference can still be traced to a common origin genetically. 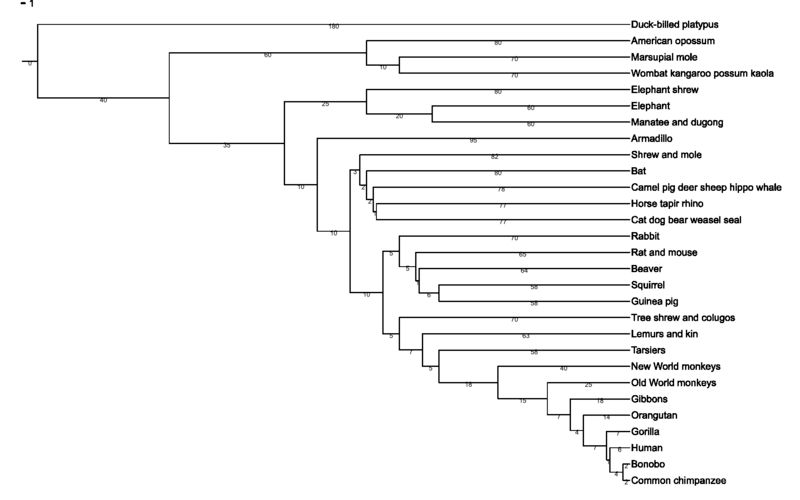 A phylogenetic tree can be constructed with branches whose distance apart are related to the similarity of their genetic material. For example, for mammals a similar branching diagram can be constructed, a “cladogram” to show evolutionary divergence from a common ancestor, as shown for the class Mammalia in the illustration below. In the following, I’ll focus on three models proposed to account for evolution, the descent of species. It will not be a comprehensive account, but will survey the most important and significant features relative to Catholic teaching. Let me emphasize that these are interpretations; evolution is the common descent—how that occurs, the mechanism—is explained by many different models. “And to tell the truth, rather than speaking about the theory of evolution, it is more accurate to speak of the theories of evolution. [emphasis added] The use of the plural is required here—in part because of the diversity of explanations regarding the mechanism of evolution, and in part because of the diversity of philosophies involved. Evolution in form and function is gradual—major changes by which different species, groups, families and classes are formed originate by small variations carried through a long period. Variation in form and function is carried by heredity (genetics). Natural selection will lead to change in genetic constitution of the population, for even a small—3 or 4%—advantage in survival and reproduction, as we see below in the development of the Lactase Persistent gene. It’s relatively easy to see how small changes (an example is given below) in function and/or form can arise by mutation and natural selection. It’s harder to see how major differences can occur—for example, the difference between fruit fly and round worm. Here is an example of a quantitative demonstration of the Neo-Darwinian thesis. Mammalian babies drink milk. Almost all non-human adult mammals do not drink milk. Some human adult mammals drink milk (northern Europeans, East Africans, West Africans), while many adult human mammals (East Asian, Bantu, Basque) cannot drink milk without suffering lactose intolerance symptoms (lactose, a milk sugar, cannot be metabolized). The explanation: mammalian infants have an enzyme, lactase that enables lactose to be metabolized. This enzyme is normally lost after infants are weaned. However in certain groups where dairy farming has been carried out, a gene, “lactase persistence gene“, enables the enzyme to continue to be present. This gene was not present in these groups (Northern Europeans/East Africans) 8000 to 10,000 years ago, but is now (77% or higher in Northern Europeans). Therefore it must have appeared as a mutation and by enhancing survivability, spread. Dancing on a tightrope of very involved statistical and Markov chain calculations, the authors find that this mutated gene, which allowed persistence of the lactase enzyme action, enhanced survivability by between .09 and 0.19 for the Scandinavian population and between 0.014 and 0.15 for the East African. I take this “coefficient of selection” to mean that those Scandinavians carrying this dominant gene produced between 1.09 to 1.19 more children per generation than those who did not have the gene. which shows the spread of the mutation from Ireland, England, Denmark and southern Sweden 8000 years ago throughout Europe. The calculated retrodictive frequencies are in accord with the relative frequencies of the gene: orange to red, high; blue to indigo, low; the map goes from completely blue in the beginning to a large orange-red central region at Denmark and Sweden after 360 generations (about 7500 years); southern Europe remains blue. If one looks at the map showing high proportions of lactose tolerance, it appears in multiple regions—Northern Europe, East Africa and the Arabian peninsula, West Africa, Pakistan—such that migration of peoples with the gene would not have been a likely mechanism for its spread. There are various suggestion about where the mutation originated–Hungary, Iranian plateau–but a single geographic origin doesn’t seem to be compatible with the present distribution. Here’s a question to puzzle over: which came first, dairy farming and then mutation, or the mutation first and then dairy farming? Is it possible that God might direct such a mutation (or more) to occur where dairy farming could be prevalent? There’s no way to answer that question, other than a faith that God might direct mutations for His purposes. In the diagram above, the horizontal direction, “Morphology”, represents shape, color, etc. The long vertical lines mean that morphology is unchanged, in “equilibrium” over a long period of time. When environmental stress or sudden isolation of a sub-population occurs, then a discontinuous variation can occur, as depicted by the horizontal lines. Punctuated Equilibrium was introduced as an alternative mechanism to Gradualism to account for the fact that discontinuous changes in morphology were usually found in the paleontological record, rather than continuous small changes. Nevertheless, this might be due not to discontinuities in events, but to inadequate survey of the paleontological record. It should be emphasized that Punctuated Equilibrium is a supplement, not a replacement for the neo-Darwinian model. There is a cadre of scientists—mathematicians, biologists, physicists—who do not believe that natural selection can account for evolution. They argue that it is too improbable that the complicated molecules and assemblies for life came together and evolved into a variety of living things purely by chance. They propose instead that there is an inherent design—Intelligent Design (ID)—manifested in the complexity of biochemistry and genetics, the complex and intricate arrangement of components that points to an intelligent, purposeful designer. The ID viewpoint is much like that of William Paley (1743-1805), the English clergyman who made the analogy of finding a watch upon the heath (moorland) and deducing from its intricate construction that it had to be designed by some intelligence. This argument by analogy has been criticized by many opponents of ID, most notably by Richard Dawkins in his book The Blind Watchmaker. Nevertheless, this argument is basic to the ID thesis, that the conjunction of complicated biomolecules to perform specific functions is not one that could be achieved by small, gradual increments. Michael Behe has termed this argument, “irreducible complexity”. There would be no survival value in the incremental change—only until the full complicated structure was achieved would there be a natural selection advantage. Michael Behe, a biochemist advocating ID, in his book Darwin’s Black Box, has set forth a number of these biochemical “watches”, systems too complicated to come about by gradual changes. The most striking of these is that for bacterial flagella. Behe contends that none of the parts, proteins and other bimolecular constituents separately would convey any survival advantage and therefore would not be propagated by natural selection. He uses the analogy of a mousetrap—it won’t work unless all the parts are assembled properly. Kenneth Miller, author of Finding Darwin’s God, countered Behe’s example with the use of parts of a mousetrap as a tie clip and a key chain. The debate has been heated—I’ll not give a judgment here but refer you to this web site that gives the arguments and rebuttals. Besides Behe’s “irreducible complexity” complexity arguments for Intelligent Design, Stephen Meyer, in his book, Signature in the Cell, has argued that biomolecules—DNA, RNA, proteins—contain information that could not be there other than by design; to use his term, they manifest “specified information”. To understand how life began, we must take into account this “specified information”, which specified information can be brought about only by an intelligence, a designer; it cannot occur by chance or by the working of physical and chemical laws (e.g. chemical affinities). As an example of “specified information”, consider the phrase “cat in the hat.” This conveys information (for Dr. Seuss fans–a book title and an image). If one was to draw characters out of a large bag containing the appropriate proportion of spaces, t’s, c’s, etc., the probability of getting them in the order “cat in the hat” would infinitesimally small…for all practical purposes, zero. Thus the probability of getting “cat in the hat” by randomly drawing letters from a large bag filled with the appropriate proportion of characters will be very small. Accordingly, if you saw that phrase on a table next to a large bag of characters, you’d assume that a Dr. Seuss fan had arranged them. Meyers argues that specified information is conserved. Although this seems reasonable at first glance, there is no proof of such that I can find. If an inverse relation between Shannon information and entropy is made (the greater the information content, the lower the entropy), there is no application of the Second Law that would apply to conservation of information. So we’ll have to accept the second principle as possible, but not proven–a hypothesis. 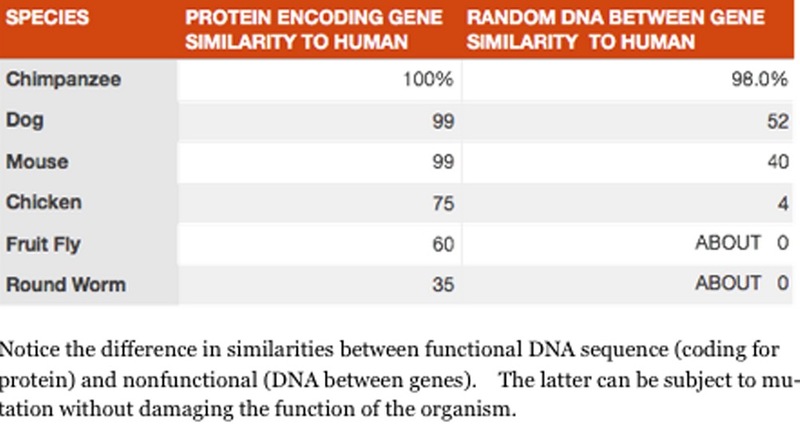 Meyers discusses how proteins, DNA and RNA are biomolecules encoding specified information. He argues convincingly that this encoding cannot proceed from chance or by natural law. The probabilities of the sequences occurring by chance are too small, and this view agrees with that of a number of other scientists, not all of whom support intelligent design. According to Meyers, specified information does not proceed from chemical or physical principals–chemical affinities and attraction, for example, yielding protein folding shapes or sequence order of bases in DNA or RNA. Were such operative, they might yield order (as, for example, gravity and coriolis forces yield whirlpool shapes in water going down a drain). However, such order could not provide for the variety of base sequences needed to encode for the synthesis of many different proteins, nor for the different conformations involved in folding of proteins that yields enzymatic activity. —Stephen Meyer, The Signature in the Cell, Appendix A. If such results are obtained, it will strengthen the Intelligent Design hypothesis, but it will not necessarily confirm it. The first criticism is given above in the quote by Michael Shermer. Although proponents of Intelligent Design argue that information is put into cell components, they suggest no mechanism as to how this might occur. Another opponent of the neo-Darwinian thesis, the philosopher Thomas Nagel, has proposed in his book, Mind and Cosmos, that teleology should be considered as a general operating principle in nature. Although this requirement–purpose as a part of nature–just names, rather than explains the issue, it is a starting point. 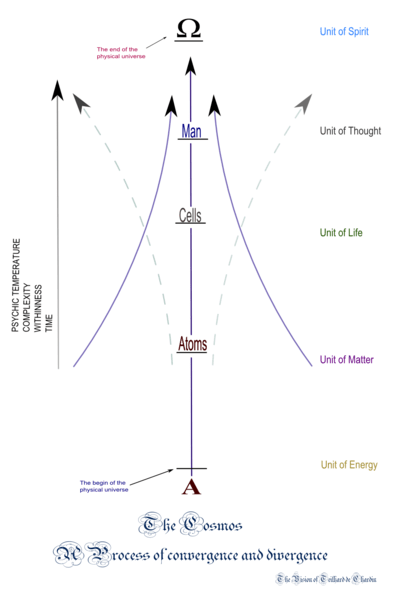 Teleology might be the fundamental principle that would justify Intelligent Design. The second criticism is that the fundamental assumption of conservation of specified information or specified complexity is assumed. Although this seems at first like a reasonable assumption, it is necessary that it be justified from first principles, outside of the realm of biology, if Intelligent Design is to be considered science. I want to stress again that evolution, applied to living things, means “common descent” from one ancestral unicellar organism. There are various models—theories, if you will—for how evolution occurs, including the neo-Darwinian one: survival of the fittest, aided by natural variation due to random genetic mutations. Many scientists and philosophers, some of whom are atheists, do not believe the neo-Darwinian model gives a satisfactory explanation for the mechanism of evolution. Intelligent Design, which explains the variety of living things and their wonderful biochemistry as due to design by some intelligence, is an interesting explanation for evolution, but in my opinion is not science: it does not offer falsifiable predictions and it does not give a scheme whereby the designing intelligence produced each individual biochemical mechanism. In any case, the fact of evolution, common descent, does not conflict with Catholic teaching. As Popes Pius XII, St. John Paul II and Benedict XVI have said: although the physical body of man may originate from pre-existing matter (other living forms) via an evolutionary process, the individual soul is created and implanted in each of us by God. Therefore interpretations of evolution—theories or models—that deny the existence of such a soul do conflict with Catholic teaching, but evolutionary models which do not deny the soul, do not. Although some Christians deny evolution because it does not agree with a literal interpretation of the Creation account given in Genesis I, there is no reason to deny that Creation “at once” can refer to God as a primary cause who instilled secondary causes in His Creation, as St. Augustine argued. Moreover, God is eternal, timeless, so to say that He must have created the universe at a single instant in time is to put a limitation on His timelessness. Also, as Pope Benedict XVI argued, we cannot regard Scripture as a science text book; the Old Testament leads us to the New and is the road to Christ.